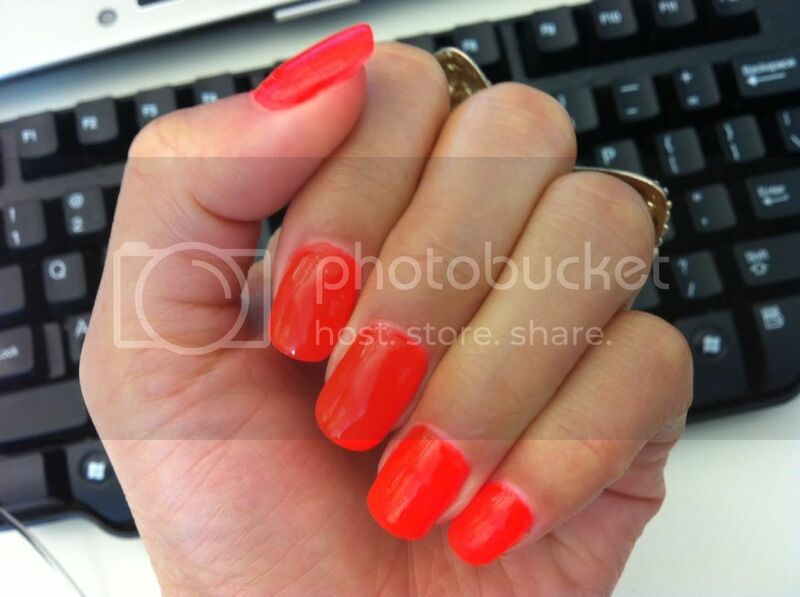 Just Say Yes to Neon Orange Nails! Sometimes pictures do not do the subject justice, this is one of those times. I wish you could see this in real life.. its a color that "mesmerizes" - not my words, a guy told me this on Saturday. I really don't know how many people have commented on my nails.. on the bus, sidewalks, restaurants,parks - all places where I have been stopped so they can comment on it. The best thing about this nail polish, that I found out by accident.. it glows when there's a black light. So, if you need a cool new color to wear to go out dancing, this is it! Haha. Love that it glows in black light! Always a fan of bold color nails and yours are no exception! I LOVE this color, esp for summer. I wore this color all summer long 2 years ago and it's one I choose quite often now. It IS amazing how many people stop you to comment on this color, isn't it? LOVE! but this looks it might be even brighter! Your nail posts always look good!